Our first event of the year is next Wednesday (2/20) at 5:30pm! Together with ALA-SC we are hosting a Resume Workshop with SICE Career Services. If you are interested in learning more about this important topic before hitting the job search - come join us! Getting into the swing of a new school year and finally found some time to post a photo! Here's our booth from orientation, and here's to a great year! Our first event of the year is next Wednesday (2/20) at 5:30pm! Together with ALA-SC we are hosting a Resume Workshop with SICE Career Services. If you are interested in learning more about this important topic before hitting the job search – come join us! Come and join us for the first SALS meeting of the semester! We will be hanging out and making plans for the rest of the semester. We will be meeting in Luddy Hall in the ILS suite conference room at 5:30pm today (January 18)! Come color and eat cookies with the Society of Art Librarianship Students at their booth at IU’s First Thursdays festival! We will be selling baked goods, button packs and our zine! The First Thursdays festival is a celebration of contemporary arts & humanities on the IU Bloomington campus. The festival is free and open to all members of the public, with performances and activities around the Showalter Arts Plaza. Check our home-grown zine, ART//LIB! 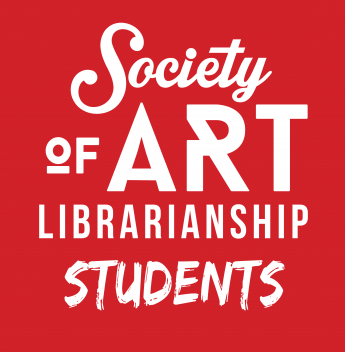 ART//LIB was conceived as an informal platform for the Society of Art Librarianship Students (SALS) at Indiana University to have a voice without having to grapple with receiving departmental permission. In order to express your opinions in grad school, you’re constantly jumping through hoops or being cautious about stepping on toes. Being a grad student means being on edge all the time because rubbing an administrator, a faculty member, or supervisor the wrong way could mean ending your career before it even begins. There are no real parameters for the content of this zine though I have recommended that our contributors keep librarianship, visual resource management, and the arts in mind. Really, this is just an outlet for our organization to make something without being graded or assessed. It is hard to comprehend how much I have learned in the past months about music librarianship and art librarianship. From March 2-5 2016, I attended the Music Librarian Association conference in Cincinnati, Ohio and from the 8th to the 12th I attended the joint ARLIS/VRA conference in Seattle, Washington. Both conferences exposed me to many different areas of librarianship and helped me connect with both students and professionals. The conferences reignited my passion for librarianship and gave me tons of new ideas for outreach and programming. It was evident that the attendees of both conferences are advocates and defenders of the “common good” in libraries and society. The MLA conference taught me a lot about networking and what other schools are doing to promote access to their unique and diverse collections. The association is trying to become more “diverse” – there were great open discussions about what “diversity” means and how to create and foster a “diverse” library. The discussions in the committee meetings and round tables were enlightening and made me realize the profound amount of respect many librarians have for their counterparts. Through the great musicianship of the performers at the conference, I found a spark to begin playing cello on a regular basis again. It was great being in a group of people who are passionate about music scholarship, stewardship, and performance. I never realized that MLA had so many wonderful musicians in its ranks! My mentor for the conference was Leslie Anderson. She is a hoot, to say the least! It was nice to see a familiar face after meeting dozens of strangers and nodding and smiling all of the time. At times, I want to be like April Ludgate (Parks and Recreation) and run away from the onslaught of people. “Teaching Performance Based Research Skills: Students Reflections and Experiences” by Kristina Shanton from Ithaca College. The attendees of this session had the privilege of hearing Otis Williams, the lead singer of The Charms and Philip Paul, a King Record session drummer. “Digital Curation with OMEKA” led by Anna Kijas (Boston College). The Digital Curation and Research Skills lectures were especially helpful, as I would like to allow more music to be accessible to patrons. I met several new student colleagues at MLA, who I will most likely be interacting and collaborating with for the rest of my professional career. We had a great time getting to know each other’s backgrounds, home institution, and inspiration for pursuing music librarianship. It was also really fun to get to know the music librarians who I have seen through list-servs and periodical articles. While at MLA, the Contemporary Art Center had an exhibition of Robert Mapplethorpe titled “After The Moment: Reflections on Robert Mapplethorpe”. This amazing exhibition celebrated the 25th anniversary of the CAC’s exhibition of Mapplethorpe’s The Perfect Moment. The show featured responses to CAC’s hosting of The Perfect Moment, both for and against — many of the responses against were very intense and showed the ripe chord that this show struck with many conservatives in the area. Do Ho Suh was also being exhibited at CAC – his works are seen below – they had huge structures made of translucent materials! Check out CAC’s web archive of every exhibition that has been at the Center since 1939!! Zoua and I in CAC’s UnMuseum! The CAC had a great outreach and program to get patrons into the museum! –Drink and Draw, where people can come, purchase drinks and draw! This is a great idea for a library – maybe we could replace the alcohol with a themed drink like a V8 or smoothies. The ARLIS/VRA was an amazing experience and made me happy that I am taking myself out of my comfort zone to learn about art and art librarianship. There are so many facets of art librarianship and visual resources that it is sometimes overwhelming for an art novice. ARLIS exposed me to a group of amazing individuals who are greatly invested in making materials more accessible and better utilized. The Graphic Novel Special Interest Group (SIG), GLBTQ SIG, and Fashion, Textile, and Costumes SIG were AMAZING! The SIG meetings allowed me to meet people who share my interests and discuss issues that we both care about. My friend and colleague, Andrew Wang, presented at the Graphic Novel SIG and presented a poster about Zine cataloging! He is a great role model for art librarianship students! The GLBTQ Special Interest Group presentation allowed attendees to learn about the great programs that center around GLBTQ issues in Seattle. The presenters included representatives from Gay City, Seattle Public Library, University of Portland Archive. Fashion has always been fascinating to me – when I was a kid I wanted to be a fashion designer! This was the first time that I got to discuss with scholars in the field and learn more about the textile facet of art librarianship. Coming from a music background, all of this stuff is VERY new. Here are some pictures of the closing reception at the Seattle Public Library. Plus some fun pictures of Kendra Werst, Andrew Wang, and I.
I believe it would be beneficial and very eye-opening if VRA and MLA did a joint conference. Imagine the great ideas that could be fostered with musicians and artists in the same room! Music librarians are madly trying to digitize musical scores to promote access and preserve the physical artifact. Visual Resource librarians could help greatly with this process as they have great expertise in digitizing high-quality images. In many cases when a score is digitized, it is not scanned at a high level and the beautiful cover is not included with the scan. The Visual Resources librarians can greatly help to link artists to the cover art of scores or albums. Let me preface this blog post by saying that I was not expecting St. Louis to be as cool as it was! In the past, I have driven through St. Louis many times while on family road trips or going back to Bloomington when coming back from Texas, but we never stopped in to view the crazy cool city!! The morning began like any normal morning, I picked up everyone who was riding in my car, got some much-needed coffee, and we were off! While on the road, we had a good vent session about our classes and program. On the way, we stopped in Pocahontas, Illinois for a stretch and potty break. I was sure to get some lower leg stretches in, as I am 6 foot 3 and it gets fairly cramped in my 2005 Toyota Corolla. We had lunch at a Schlafly Brewery, ordered a table for 6, but realized that the other car in our caravan was at a different brewery location! Rachel Schend and I shared the Huevos Rancheros (H-OOO-EVOS) – one of the people in our group did not know how to pronounce Huevos or what they are – and the crab cake eggs benedict. The eggs benedict was AMAZING, but I was SUPER happy with the Huevos Rancheros. While driving to Washington University in St. Louis, I noticed how gorgeous St. Louis is. The day was completely clear, sunny, and in the upper 60s. The area surrounding Washington University in St. Louis reminded me of the area around Rice University in Houston, TX. The architecture of the campus buildings and the enormous houses near the school scream Houston. The Kranzburg Art and Architecture Library was delightful! They had a great concept of passing out a sticker with the library resources site on it, a button of an image from ARTstor or another database. After meeting with Jennifer Akins and Rina Vecchiola, we viewed the Mildred Lane Kemper Art Museum. While looking at a very interesting installation of videos, my brain gave me notice that it was time for some coffee. Post coffee, the St. Louis adventure continued at the Arboretum. This featured many acres of beautifully manicured plants, succulents, and a variety of buildings that were temperature controlled to allow for the growing of unique plants. I believe that the most beautiful areas were the arid cactus and succulent building, the Japanese garden, and the land around the house – pictured below. After the Arboretum, we checked into our AirBNB (my first experience) – it was great! We had dinner at The Block — their mushroom soup and meatball pizza was SO yummy!!! After, we went had a few drinks at the City Museum. We climbed around and had a great time sliding down the huge slide – WEEEE!! Kendra then led us to Steve’s Hotdogs in Tower Grove… MANNNN was this place delishhhh! The St. Louis Art Museum was GORGEOUS! I never expected the building to be so majestic! It reminds me slightly of the cathedrals in Rome. After we left the St. Louis Art Museum, we were off to Bloomington! We hit some traffic on the way back, which made me late to my shift at the Fine Arts Library. Not having the time to attend ARLIS/NA last year, I was determined to attend the 2016 ARLIS/NA + VRA Joint Conference in Seattle. Although I originally wanted to moderate a session on comics, I was more than happy to present my user study at the Graphic Novels Special Interest Group (of which I am currently a co-moderator) and my zine collection project at the Poster Presentations. Even with the excitement of presenting, the conference was much more than I expected. For one, it helped put things in perspective and reaffirm my goals. Preoccupied with coursework (especially by the latter half of my program), I often lose sight of the current trends and developments in the field. The conference offered a reprieve. Sessions and workshops ranged from diversity to instruction, public programming to technical services. Some of my favorites were “Scope Drift: New Roles and Responsibilities in Visual Resources,” “E-mania! — The Present and Future of Electronic Art Publishing,” and “Connecting Social Justice to the Workplace: Issues of Diversity in Our Professional Lives.” Being able to hear from current professionals about their recent projects was refreshing since ILS courses tend to be slightly slower in adapting to the latest updates in the practicing field. I think the initiations in proactively promoting diversity, including a “Diversity Forum,” were especially encouraging as they created an open and inclusive environment. In addition to hearing from professionals, I truly appreciated my opportunities to present to them. My Graphic Novels SIG presentation, titled “User Needs for Art Library Comic Collections,” was a success. As a first time attendee, I felt nervous as one of the new co-moderators and a presenter. My user study, however, complemented my co-moderator Tara Smith’s case study on programming very well and the attendees seemed engaged. Tara and I have discussed collaborating for a publication submission, so it was very helpful to receive constructive feedback. My poster presentation, “Developing and Promoting a New Zine Collection,” also helped me to learn how to sell my story in a condensed amount of time. I managed to meet some great professionals — some curious about starting a zine collection at their own institutions. Networking through presenting helped me feel more confident; I felt like I was exchanging ideas with peers rather than being lectured to in a class. One of my favorite parts about ARLIS/NA + VRA 2016 was having the opportunity to forge stronger personal connections, in addition to professional connections, with people in the field. To add to my aforementioned networking, I also had the chance to travel with some great peers (fellow SALS members Kendra Werst and Vaughan Hennen), meet and have lunch with my mentor, catch up with my former supervisor/advisor/mentor Kristina Keogh, and even reconnect with the first art librarian I ever talked to about pursuing librarianship, Jill Luedke. I will absolutely be trying my hardest to attend ARLIS in New Orleans and VRA in Louisville next year.